The Corsair is our brand new Shoot 'em Up game for Windows Mobile Professional, Classic, and Pocket PC devices. Travel the high seas and battle against wicked pirates, crooked soldiers, haunted spirits, hungry cannibals, and angry monsters! As an honest trader aboard your new ship, The Corsair, you suddenly find yourself in the middle of a wild adventure to attain the greatest treasure of your life, if you can survive! The Corsair is intuitively designed to be enjoyable for anyone to pick up and play. 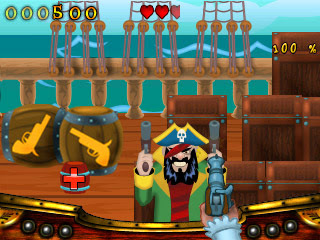 Beginners and die-hard action fans alike will be battling pirates in no time! The Corsair features beautiful graphics, top notch music and audio, intuitive controls, and of course, Guns, Swords, and Pirates! Finalist in the Smartphone and Pocket PC Awards for Best Action Game of 2007! Windows Mobile Classic, Professional, and Pocket PC devices. Test your visualization and logic skills in this entertaining game, filled with over 200 Puzzles! This simple, yet addicting game concept combines ideas from the likes of Sudoku games and Crossword puzzles with a unique twist adding pictures and visualization into the mix for a truly refreshing gaming experience. Glyphos is intuitively designed to be enjoyable for anyone to pick up and play. Anyone can be solving the mysteries of the Visual Puzzles immeditaley! 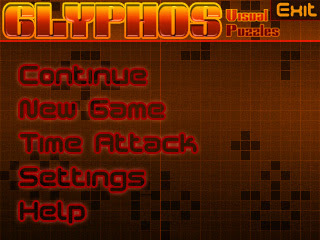 Glyphos: Visual Puzzles features crisp, clean graphics, catchy music and audio, intuitive controls, and of course, fun! When you explore, check everything. Look for things that stand out. When you try to jump over a short wall, use running-jump or side jump roll, and when you try to jump over a tall wall, use jump and hang. Shoot early, even when you just hear the animals but haven't yet seen them, especially in later levels. You will meet the animals as soon as you start the levels. There's a pretty good amount of ammo and new weapons throughout, make sure you pick them up. 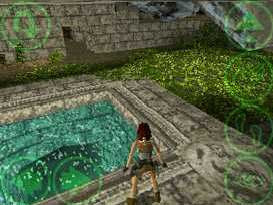 Go through the training (choose Lara's home at the game's title screen to get to the training mode). Flux Challenge is set in the future where underground tunnels are used for racing. These tunnels were originally used for trains and transportation but then someone figured out how to use the tunnels for levitating racing vehicles and the sport was born. At some point in the sport's early history one of the heroic drivers was killed in an accident while racing. This prompted shutdowns of the tracks and they were made safer. The new tracks had a three level system, practice, time trials and career. In practice mode you can race any unlocked track with any unlocked vehicle so you can hone your skills for career or timed mode. In timed mode you can try and beat your best times to post to the record books. In career mode you are given the chance to rise to the ultimate racing title, Flux Champion! Super-G Stunt is a flight action game that takes you on a breathtaking aerobatic race through fun-filled fantasy environments! Players can choose from a variety of sports biplanes and environments. 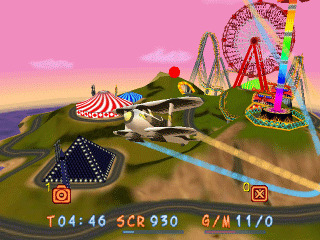 During each flight the player will maneuver the sports plane through many floating sky gates in an attempt to achieve both the shortest time and the best performance. Each fantasy game level and sky gate layout is elaborate in design to challenge the player concentration, accuracy and response. Get into the cockpit and show off your unbeatable stunts! Mastersoft Money offers the same look, feel, and visual simplicity as desktop money software. However it is an all in one package - you no longer need your desktop. Features include 3D graphs, charts, reports, QIF compatibility with desktop Money/Quicken, and an intuitive interface. Microsoft Certified. Version 6 includes various new features. Pocket Quicken places your financial activity at your fingertips making it easy to keep your financial information complete, accurate and up-to-date wherever you go. Effortless data entry coupled with instant access to account balances, transactions, credit limits, budgets and more adds up to financial clarity in the palm of your hand. 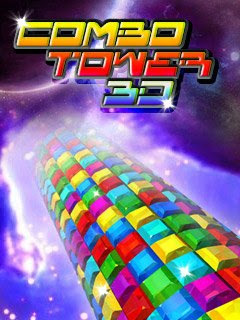 A futuristic-styled 3D action adventure, using a third person perspective - incredible! Curse of the Pharaohs is an action adventure featuring frantic action, mind bending puzzles and intense atmosphere. Bubble Madness: Really FUN and positively addictive... this new style of game is designed to drive you crazy! Bubble Madness is a totally new concept specifically designed for your touch screen device and will bring you to new level of madness and addiction. With your stylus, get rid of all the bubbles populating the screen... Be fast as the clock is ticking!! Medieval Heroes II is a game of empire building and turn-based battles set in the Middle Ages. As one of the medieval lords, you will engage in combat with surrounding provinces in an attempt to unite Medieval Europe under your leadership. You can also build castles, fortify them, and build additional buildings like markets or banks. During the game your hero will get experience and you can improve his skills. Your goal is to unite all of the provinces under your control! purchased in digital format. 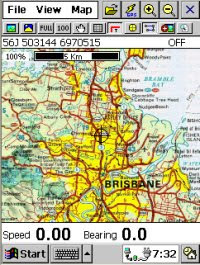 It allows you to track your position received from a GPS on a map (moving map). your PDA for use by OziExplorerCE. to calibrate maps, plan trips by adding waypoints etc. Boardgames is just for you. effective placement combination, and earn as much as you can. great graphics and polished gameplay. To be honest, voice recognition is still more like a toy rather than a serious instrument: this task requires massive computing power which is not yet available in handheld devices. But even now in the relatively quiet environment the accuracy of recognition is around 90-95%! Attractive, convenient and intuitive interface will allow you to find the needed phrase easily and quickly; with TTS you will be able to learn how to pronounce the phrases you use. dictionary, especially if you just started to study the language. Spb Mobile DVD for ppc is a desktop application providing you with a quick and easy way to convert DVDs and video files to the mobile format with the highest possible speed and true real-time preview. Boneyboy is winner in Smartphone & Pocket PC magazine`s 7th Annual "Best Software Awards" in the category Run & Jump Platform Scrollers. Boneyboy is also nominated for the German Game Developer Award 2007. 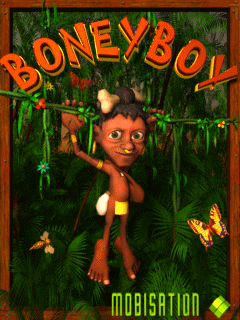 A superb new platform game - help Boneyboy beat his evil twin Mr.Nobone who has bewitched all the animals in the jungle. Run, jump and avoid the traps before you. Help protect the backpackers from the evil of Mr.Nobone and win back your jinxed pet Mr. Turtle! 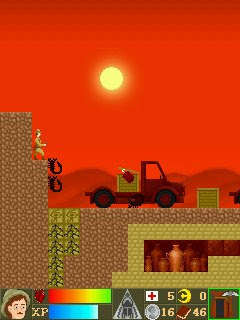 This classical Jump'n' Run offers multi-layer scrolling, rendered animations and backgrounds and stunning sound. You have to guide the little pygmy Boneyboy through the jungle to clear each stage. Jump from platform to platform and collect various items but watch out: many opponents and traps will give you a hard time. PlanMaker 2004 is the newest offering from SoftMaker and like TextMaker, stands head-and-shoulders above any other spreadsheet application for the Handheld PC platform. Offering all of the features of Microsoft Excel for the desktop, PlanMaker turns a Handheld PC into a fully functional extension of the desktop. Further, PlanMaker spreadsheets are easily convertible to Microsoft Excel sheets, can be protected (cells, sheets or workbooks), charts and pictures can be embedded, and complex formulas are not a problem. PlanMaker is everything Pocket Excel should be but fails to achieve. Like it's word processing counterpart, PlanMaker is a must have for any power spreadsheet users. 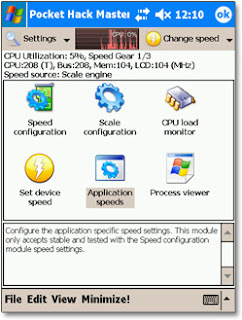 It is feature rich and is considerably more stable than freeware or shareware competitors. Agenda MSD gathers all your data together for ease of access, and is much more than just a personal information manager. It allows you to manage data such as mortgage repayments, budget details and a 'To Do' list. An alarm function alerts you to important tasks, dates or deadlines. Unlimited email addresses, phone numbers and web addresses can be stored for each contact, and pictures of each contact can be included along with notes about them. An import/export function lets you transfer data to and from Agenda MSD at the click of a button, and a search facility improves its usability. The interface isn't the best, but it's capable of meeting the most demanding of needs. 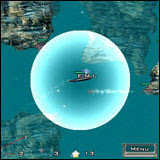 Back in 2003, PDAMill released Anthelion (add link), a unique space combat game for the Pocket PC. the CPU clock when the device is idle. explore, 200 different monsters to fight against, and over a hundred different items, weapons, and magic spells! 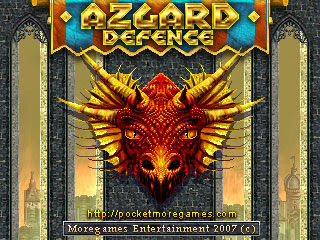 Pocket PC Awards Best Role Playing Game of 2005! Arvale: Journey of Illusion is compatible with all current Windows Mobile powered Pocket PCs. A 3D street racing game inspired by the rebel motorcycle subculture. Master your tremendous speed machine as you hug curves and burn through the sleek nighttime streets of the glittering city. Stunning city scenes, lifelike physics simulation, exciting street racing... What else? you taste it! Reminding: SpeedCity is designed with the heaviest ever 3D graphics for mobile game. In terms of 3D graphics, it may render thousands of triangles in a single frame. For playable 3D rendering (frame rate), a Pocket PC with 400+ MHz Intel® PXA 255 / 26x / 27x or compatible processor is required. sceneries and the vibrant music. Owen and his pals are racing fiercely to see who the master of monster truck is. This fantasy game gives you so much fun with fight experience. Start your truck now, it crunches! Plow down rivals and tear through obstacles with your roaring monster truck. 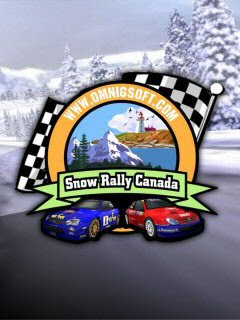 A fantastic racing game with splendid graphics and loads of high speed fun! 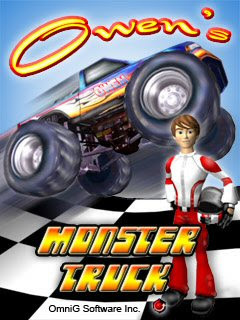 Shoot at other monster trucks and make them tumble. Tear up the roadblocks with your plow. Need high speed? Turn on the turbo to fly. NEW! Command the suburban arena armed with zippy remote control helicopter.Support Windows Mobile 5.0 and Square Screen. 3D Graphics and Gaming Experience on Handheld Reach a New High! 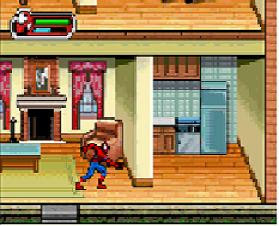 Fight through seven rooms in a house designed as indoor combat arena, each with cartoon style furniture and brilliant interior decoration. Command one of four cute and zippy RC Toy choppers armed with a fire-spitting cannon. Enjoy the fancy game play and unbeatable 3D graphics on your handheld. Aiming, shooting, dogfighting, evading, teammate covering, all these are simulated with heavy artificial intelligence, which provides you one reliable teammate and two fearsome opponents. While "Arcade Style" flight control offers Shoot'em up fans with quick and straightforward game control, "Simulation Style" flight control will always satisfy serious flight simulation diehards with realistic helicopter flight control. Moving, climbing, turning, hovering, landing, and many kinds of helicopter maneuver are simulated with elaborate aerodynamic model. This game provides the most complex and realistic helicopter flight simulation on handheld. For those of you who are billiards fans, you recognize the fact that good billiards-based software is difficult to find. And who wouldn't want to be able to play a quick game of pool while on the road or waiting in line at the Post Office? Problem is, most of what is out there either doesn't look good, or the ball physics are off just enough to make gameplay miserable. The screenshots at Digys peaked my interest. The feature list is strong, Does Billiards Master stand up to the test of a decent pool player or is it just for fun? Read on to find out. 'Poseidon' class torpedoes has been transported into ... the year 2050.
war against the depleted forces of UAC - United Anti-terrorist Coalition. And now the battle-field is the ocean depths. terrorists.... Forward to the past! Back to the future! Become the hero in the present and the future….or Die! addictive gameplay and mind blowing effects to bring a console-quality game to your PDA! 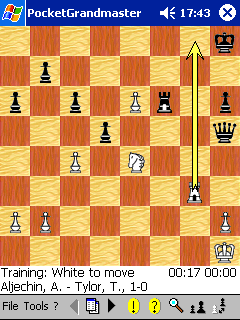 Featuring an extremely strong chess engine with an opening book of 200,000 moves and plays interesting and often aggressive chess. 18th World Microcomputer Amateur Chess Champion. It has impressive 150,000 entries with total 1.8 million words. The content is equivalent to a huge reference book of 1,800 pages! It includes Speech Engine to speak individual words or read English text on the screen from the dictionary or within other applications. Think of a semantic graph in which you can browse to discover the whole new vocabulary. It comes with Word Picker to "pick" words within other applications. It includes Word Study Assistant with downloadable word lists and managable favorite and study lists. The saga of EverQuest for the Pocket PC continues in Attack on Qeynos. terrible plot to hand the city over to the troublesome Gnolls. Who's behind it? Only you can save Qeynos in this exciting game from Sony Online and Emodiv. betrayal by their gnoll neighbors. EverQuest for the Pocket PC: Attack on Qeynos is a stand alone product. Professional pool simulator game with tournament and career modes. Play and become the billiard master of the World. With StarMoney Mobile 2.0, T-Mobile Deutschland promises to turn the PDA or smartphone ino a mobile finance center. The software allows users to check the current balance of bank accounts, inquiry current entries and make transfers between accounts. The software works over the GPRS connection, and can be used while in Germany or overseas, providing data roaming is available. Current transaction data from several accounts can be quickly retrieved and saved on the device. The program offers a detailed overview of the status of all accounts including transaction details. Transactions can be prepared in offline mode by entering the information into a digital transfer form, and a data connection is established when the data is ready to be exchange with the banks' servers." Ok, at first I was a little concerned about having all my bank info stored on my phone allowing anyone who grabs my phone to have control over my finances. Pocket PC is inter-compatible with SimCity 2000, PC version. Play anywhere with any device! 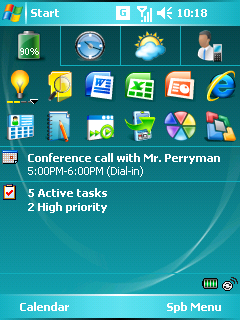 SimCity for Pocket PC is fully compatible with your PC version! 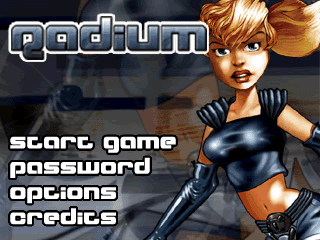 Load your cherished cities on to your Pocket PC and never stop playing! Demo Download for SimCity 2000 is non-playable screenshot animation. "Best 3D engine to date, involved story while managing to keep humour, fun gameplay, sounds and music are superbly done." "Anthelion is definitely one of the best games I have ever played for the Pocket PC so far, and is now in our coveted Top 5 picks for 2003. " can assign your device buttons to ProTone functions and make recordings using one hand only, without tapping the screen at all. graphics, unique gameplay and brilliant music in this console quality game to your PDA! PocketGrandmaster boasts a fully configurable board, simple yet far-reaching functions to work with game databases, various levels, a chessclock, an analysis mode for tutoring and problem solving, and even hints to help improve your gameplay! 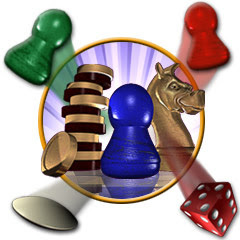 PocketGrandmaster allows you to select between a variety of preconfigured levels, and also allows the creation of new, user-defined levels, and offers different playing modes for both tournament and blitz games. 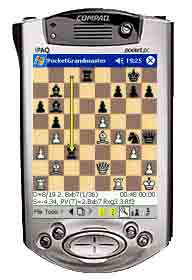 PocketGrandmaster features three extremely strong chess engines with an openingbook of 200,000 moves, and plays interesting and often aggressive chess. The engine is a successor to the program finishing 4th in the World Microcomputer Chess Championships 2001, winning the title of the 18th World Microcomputer Amateur Chess Champion. 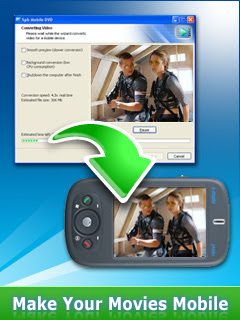 Pocket PC memory clean like never before. The only tool you will ever need to clean and manage your Pocket PC memory. The Now Screen appears every time you turn your device on if that option is set. Now Screen gives you quick and enjoyable way to check the status. You can see your most important information with a quick glance. Even more importantly, you get the quickest and most direct way to respond as needed. For example, you can open your Inbox to read new emails with just a tap or with a couple of hardware key clicks. Pocket Partner/Language Teacher® allows instant word translation and reverse translation. You can see all the words in the dictionary on the Main List. You can see all possible translations of the selected word in the Translations' List. You can get the reverse translation by clicking on the word in this list. To find a word in the dictionary, just start typing it in the Input Line. A word beginning with the input letters will appear on the screen. You can change the direction of translation by pressing the button with blue and white arrows at the bottom of the screen (to the right of the 'Tools' button). For quick translation, copy the word to the clipboard and click on the Language Teacher icon in the Start menu. You can create your own filtered list with the words from the main dictionary. The program includes a built-in multilanguage support. This newly tricked out free GBA emulator outpaces its predecessor by a wide margin. unit's added 2700g processing punch. A lot of the newer GBA roms show a marked progression in quality as the code was seemingly optimized over time.